Ready to hair all about it? I’ve been experimenting with water only hair washing for a whole month now and I have to say, I’m quite pleased with the result. The less stuff you have to pack when travelling, the better. This is why I’ve been doing my darnedest to give up on using shampoo. I figure it’s less plastic bottles heading to landfill, as well as less crap I’m having to carry around. And as a low-maintenance kinda gal, if I can get away with putting minimal effort into my appearance, then all the better. Washing hair with just water seems like a dream come true. I’ve longed to quit using shampoo and conditioner for quite some time. I’ve tried various methods over the last year or so – shampoo bars, making my own (with bicarb soda, or using avocado seed, mixed in with my normal shampoo). Having had hardly any results with any of these methods and reading about others having success with water only hair washing, I bit the bullet a month ago and quit washing my hair with shampoo. When I posted about switching to water only on Facebook, it stirred up some discussion. Seeing as I like to ramble on in my blog posts, I thought I’d take this opportunity to address the methods I’ve tried in the past and the results I had with each one. I’ve had a lot of people ask me why I don’t just use Lush shampoo bars when travelling. I want to come out and say right now, that I considered using them a long time ago – I’ve been trying to go shampoo-free for over a year now. They are a product I did consider adding to my arsenal and truth be told, I really wish I could just use them. It would have made life much easier. There’s a few reasons why I’ve never used Lush’s products on my hair. The first is because simply walking into their store is an unpleasant assault on my olfactory senses (too much scent! Argh!). The second more concerning reason is that Lush use Sodium Lauryl Sulfate in their products, which doesn’t sit well with me personally. SLS is a foaming agent used in many conventional beauty products. I haven’t used SLS shampoos in years, as it causes my scalp to freak out and tends to turn my natural curls and waves to an unattractive frizz. Lush have addressed the issue in this article, in a ‘don’t worry everyone, you’re not going to get cancer!’ sort of manner. However, even they state that SLS “does have a potentially toxic effect on aquatic organisms”. Update: The Lush article has been re-written since I wrote this post in February 2017 – the line about the possible harm to the ocean’s creatures has been omitted. Lush claim to be working on a SLS-free solution, but as a commenter points out, it’s not exactly a “case of reinventing the wheel”. Whilst I applaud Lush’s commitment to packaging free products, I’ve been using products without SLS in them for years now. Buying the shampoo bars would be too many steps in the wrong direction, as far as I’m concerned. I did used to use shampoo bars – this bar was my weapon of choice. “No poo” involves using Apple Cider Vinegar. I clean my bathroom using white vinegar and bicard soda. The two react against each other, making them ideal for scrubbing away nasty, stubborn stains, like that ring you get around the bathtub after a long soak. Maybe that’s just me. I might be really grubby. 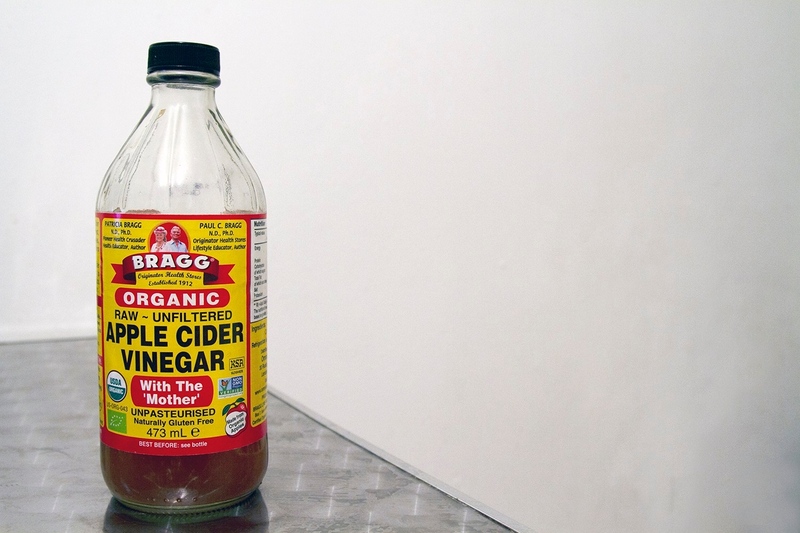 One of the “no poo” methods suggests rubbing bicard soda through your scalp, before “conditioning” with apple cider vinegar. I tried this. I do not recommend it. It did horrible things to my hair and I smelt like a salad for days afterwards. I love both bicarb and ACV, but I’m keeping them well away from my scalp in the future. 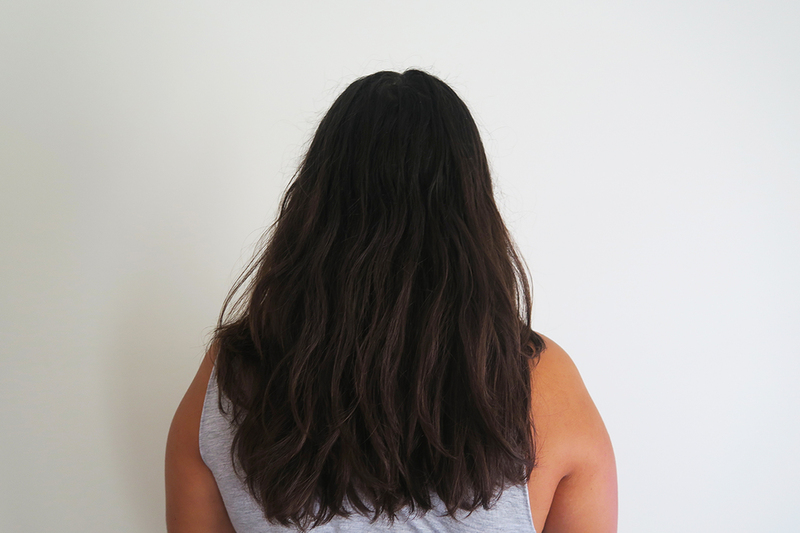 I found out about this method of hair cleaning via the Rogue Ginger (this blog is an excellent resource for anyone wanting to go plastic free/zero waste, especially if you live in Australia). You make the shampoo out of the seed of an avocado – grating it, boiling it and mixing the residue with your normal shampoo and washing as per normal. My hair felt super silky smooth afterwards, yet I was still having to buy plastic-bottled organic shampoo. It did last longer but… that wasn’t really the point. How my hair looks at this stage. As I said earlier, I quit cold turkey. I’ve been following Ariana from Paris to Go’s advice, brushing my hair with my wooden comb and massaging when washing, as you would with shampoo. Four weeks in, it’s still a little oilier than I would like. Yet, it’s weirdly super soft – even more so than when I was using shampoo and conditioner. My hair actually looks ombre at the moment – normally it’s quite dark brown, with reddish highlights. It’s darker on top at the moment, a few shades up from black, but has even more of a reddish hue at the bottom. When I attempted to go sans shampoo in London, it turned into a bit of a bird’s nest. Now however, it’s sleek and doesn’t tangle as easily. The excess of oil is the only real issue at the moment. I’m going to crack on with this experiment for another couple of months and see how it goes. If my hair doesn’t dry out, I’ll move back onto shampoos. There’s conveniently a dry goods store not far from my house in Melbourne (I discovered it on Saturday and did a happy dance by the paleo muesli) that sells bulk shampoo, which is exactly what I wanted but could never find in London. That will be my backup solution, until I find a shampoo bar that I like. Should you too wash your hair without shampoo, just water? Everyone’s hair type is different, so I think it’s worth giving water only hair washing a shot. What’s the worst that can happen, after all? Have you tried water only hair washing? Were you a success story? I’m fascinated by this! Water-only washing is something I’d definitely consider at some point in the future, but I’m a bit of a scaredy cat in that I’d rather watch someone else succeed before I dive in head first. Although with that being said, I did have dreadlocks for a few months when I was in school (too young to know any better and a bloody big Bob Marley fan to boot!) and didn’t wash my hair for that whole length of time, and it came out of the tunnel pretty fine at the end. If you find the time please do another update a little further down the line; I’m intrigued! Also, had no idea microbeads could be harmful! I always wanted dreadlocks too as a teen but never took the plunge! I don’t think I was cool enough to pull it off. I’ll do another update at three months in, or two, if something interesting happens with my hair before then. And yeah, they are particularly evil little chunks of plastic that need to be banned from all beauty products. Our fishy friends in the sea ingest them and we can then eat the fish (circle of life and all that) and end up with them in our digestive system. Horrible! I haven’t tried no-poo! Although I have trained my hair for the past 4 years now to only need to be washed weekly – I am wanting to push it out to a full week but I shall see! I’ve successfully trained my hair to be washed only every 3 days, which is a huge feat for someone with thin/fine hair like mine. I ordered the shampoo bar you used to use (I’m in the US) and can’t wait to try it! Onya, Erica! I hope you like it. I loved the peppermint one, for the way my hair smelt after a wash! If this water only thing fails I’m so stocking up on them when I’m back in the USA later on this year. If you have a local Wholefoods, they may stock them too. Good luck! Interesting to read about your experience! 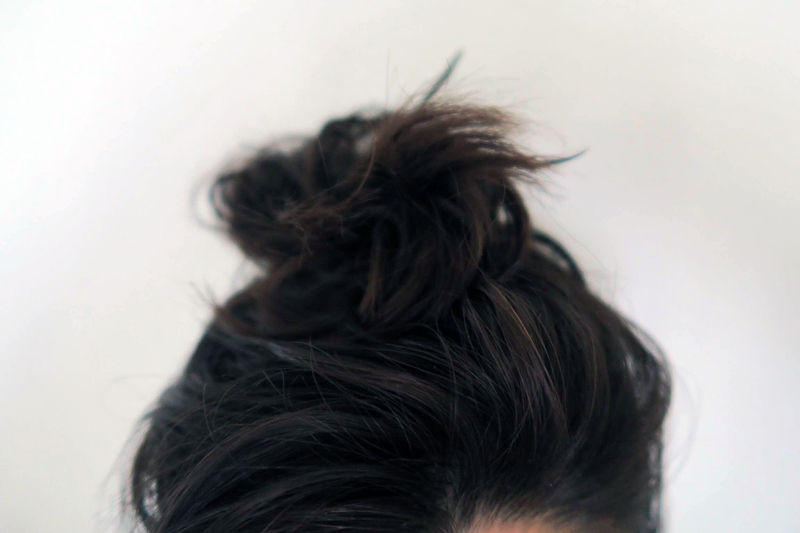 I’d love to try something like this, but my hair is super thin and gets ridiculously greasy. When I worked on a farm in Oz, I washed my hair once a week for three weeks, and had to use bicarb soda just to get it back to a normal state. Like you, I don’t want it near my scalp again haha. Oh gosh, how annoying! Yeah I don’t get it – I used mix bicarb in with shampoo with no dramas (my hairdresser said it was good for dandruff) but on its own… ouch. I think the range of success really does depend on one’s hair type. Although mine is thick and goes greasy quite easily too… so shrug. I have been doing the water only wash for a number of years now. I can remember reading Little Women and how they described brushing their hair 100 strokes each night. How many of us do that these days? I really do think that brushing our hair more often and for longer lengths of time is the key. If my scalp gets a bit itchy I know it is because I have only been brushing any knots out rather than giving my hair a decent brush which in turns gives my scalp a good massage and my hair a good clean. Such a great book and advice. I think it definitely can be done long term and it was more my scalp in the end which was a let down, but it is overly sensitive. Love using shampoo bars now – will definitely never go back to conventional shampoo and conditioner again. Impressed that you’ve managed to keep it up for years!